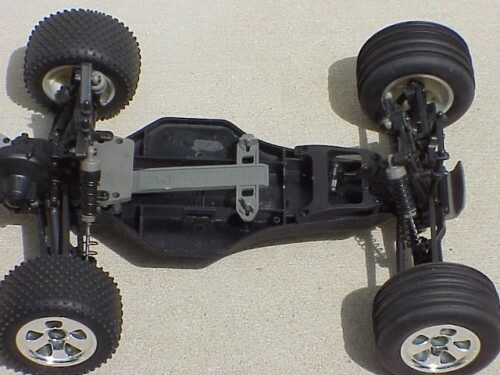 Here you have an Electrix Complete Rolling Chassis, Frame, Suspension, Tires, Wheels, Differential, Axles, & Gears For The Electrix ECX1000 & ECX1100 1/10th Scale Circuit Electric RC Truck !! This package includes the total Frame Assembly, All Of the Suspension, All Four Tires, Wheels, Steering Linkage, Rear End W/Gears Axles, Drive Train & ALL !! Please understand that you will receive everything but the electronics here and this unit is all NEW !! If you were to purchase all of these items seperate it would set you back $120.00 or more plus tax or shipping so pick this kit up for a fraction of the retail price and if you buy now you can receive it in just a few days !! You can't go wrong here when you will receive a Complete Rolling Frame Assembly & you have a Low Purchase Price Of Only $69.00 !! So take advantage of this limited time offer and get this complete kit for parts or for your next R/C project !! This is a Complete Replacement Rolling Frame and there is only this one available at this Great Price !! Review all photo's to see !! Here is an opportunity to get one of these Direct Replacement Kits at a Great Price so Buy Now And Save !! OK, so Thank You For Looking At My Item And Please check my other "BUY IT NOW OFFERS" for More R/C Cars, Trucks, Crawlers, Buggies, Truggies, Helicopters, Planes, Parts, Upgrades, Accessories And Many More Great Deals ! !